Helvetica Bold Bevel Face. Available in capitals. Helvetica bold bevel face is an interpretation of the font Helvetica Bold which is often used by graphic designers. As a moulded letter made of a gold coloured acrylic it visually looks similar to Helvetica Bold, Helvetica Bold Bevel Face is a made up font designed to work as a bevel font, it is an interpretation of Helvetica for producing in signage, a visual representation of it. 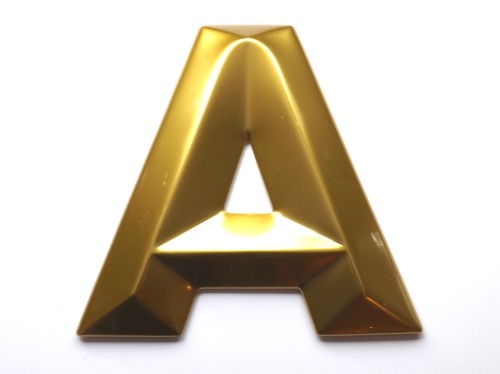 The colour of the gold will be determined by the lighting environment in which the letters are placed. The colour of the images was taken under artificial light indoors with a digital camera and may look slightly different when viewed on a shop sign out side.